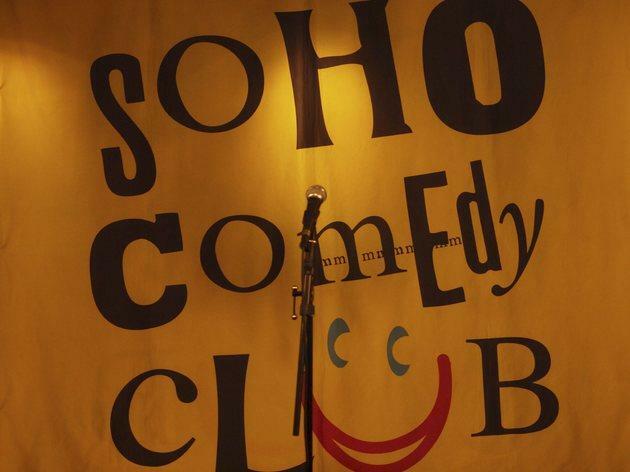 With most comedy clubs ramping up their prices at weekends to cash in on the off-the-clock laughter-seeking Londoners, Soho Comedy Club offers just as good line-ups at incredibly good value for money – plus bring along a copy of Time Out, and it's only a tenner! Walking through the Empire Casino in Leicester Square, past rows of roulette gamblers, it doesn't feel like you're in for a joke-fest. But once you're in the chandelier-laden room, in the company of the friendly regular comperes, you'll feel right at home. See the dates below for each line-up. I don't agree with the ratings that have been given by Kim M and Sam. 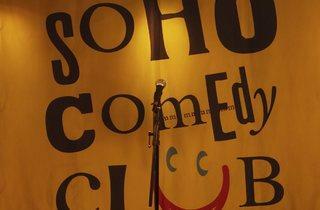 I visited Soho comedy club around a year ago with some friends and was very disappointed with the MC. This is not because the quality of the acts where average, in fact they where sublime and exceptionally skilled at what they do, but because the compare 'who I believe was called Kate' absolutely crucified the audience with her talent less, brutish attempt at comedy. She would pick a select few of the audience, and mindlessly bully them throughout the whole evening. It was quite simply awkward and after that I made the decision to never go again. However, last month my friends had booked tickets for Soho comedy club as a surprise birthday treat. We went and thankfully there was a new compare 'a male' who made everyone comfortable with his impeccable humor, it is really London's friendliest club just like Time Out said! Also I have been looking for another show to go too and they do have female acts in the line ups, so I am unsure where she got that information. We had a great night with a brilliant array of comedians. Also the club had twice as many people in attendance than last year which created an amazing atmosphere. Thoroughly enjoyed it and highly recommended. I love this club, the acts are top class acts every time I have been once I saw Russel Kane and another time I saw Andi Osho! The venue is great as there are many bars to choose from, seating is first come first serve. The staff a friendly and helpful, me and my friends always have the best night for such a reasonable price. I defiantly recommend this club. Did this club pay Time Out for this review? The resident MC is terrible and the line-ups are average. The summer line-ups are actually quite bad when compared to other West End clubs. They have just put their prices up, so the value for money premise of this review is no longer true at all. This club used to have a brilliant female MC who totally made the night. Been a few times lately though and she appears to have been replaced by a charmless American guy with no actual jokes. Some research revealed she doesn't work there any more (and they seem to have stopped booking women all together) but she is Kate Smurthwaite and plays a lot of the other clubs. Suggest googling for her and giving this bawdy boys club a miss.